We’re huge fans of the Amazon Echo line, with an Echo, a Tap and two Dots in the house. The Tap is a winner with its portability and rechargeable battery, but you’re right, having to push the button every time you want to use it makes it way less interesting and fun than the other devices that are always listening. 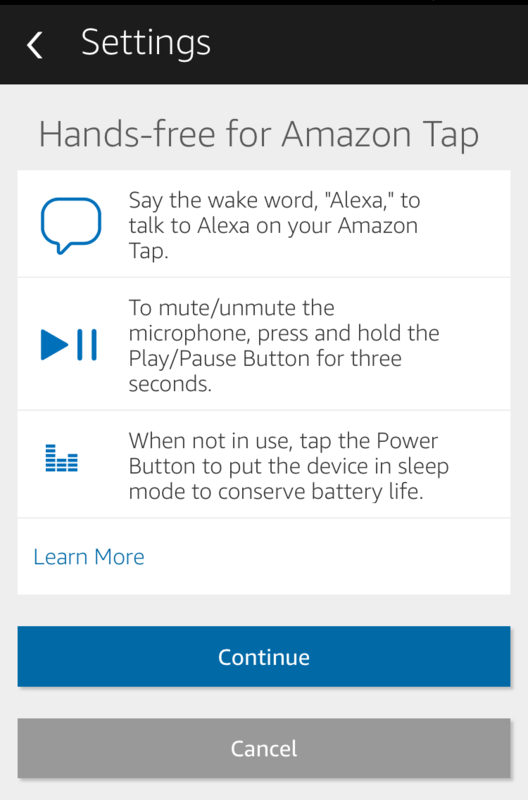 Apparently we’re not alone in that assessment, because as of early 2017, Amazon released an update to the Echo firmware that allows you to turn off push-to-talk mode and enable hands-free mode on the Amazon Echo Tap. Cool! 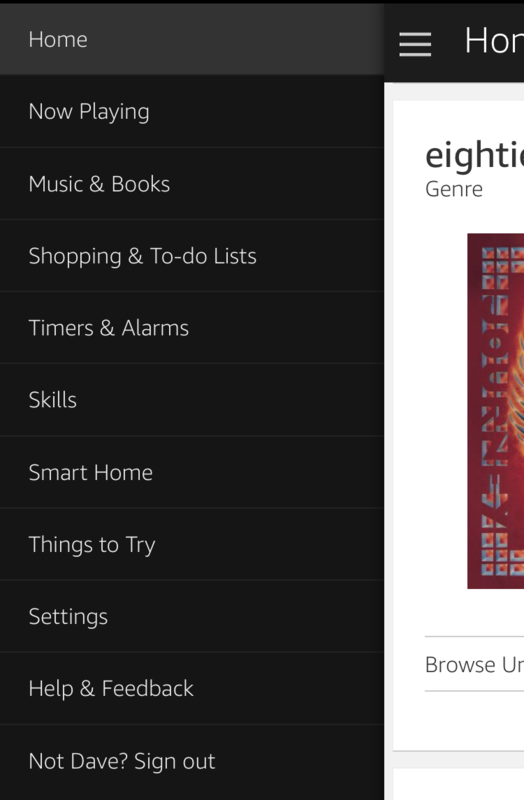 It’s easy to turn on this feature too, but you have to remember that all configuration and settings for any of your Alexa units is done through the Alexa app (either the iOS version or the Android version). And that’s where we’ll have to make the changes to upgrade the Tap too, so let’s go through the steps! In the middle is our Amazon Tap, which we’ve ingeniously named “Tappie”. Notice in particular it says “Tap to Talk Mode”. It’s the third section that shows the setting you want to change: Hands-free. Tap on the slider to switch from “Off” to “On”. 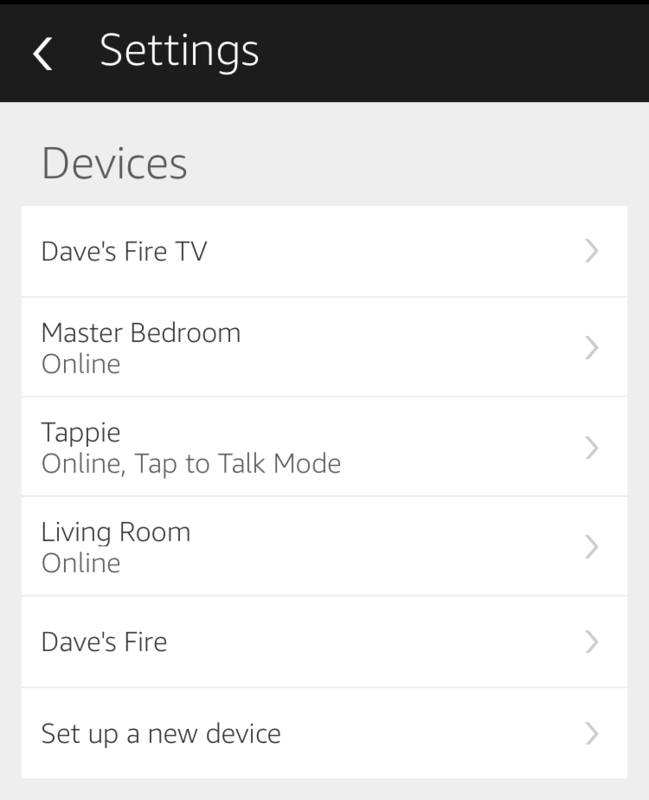 Unfortunately, unlike the other members of the Amazon Echo family, the Tap cannot be switched to a different wake word. It’s “Alexa”. 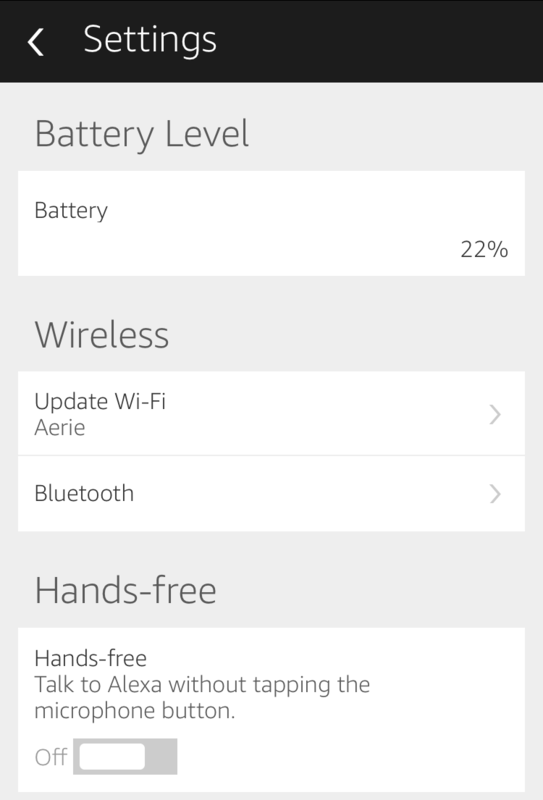 But notice that Amazon implemented a mute feature and a sleep mode to preserve battery. The latter is particularly important because obviously in hands-free mode it’s going to eat up battery far faster than just as a speaker. That’s it. Tap “Continue” and you’re done, good to go, ready to chat with your Tap! You can see the change in setting on the screen. Now grab your Tap and test it out! For anyone who lands here looking for a solution, I had to hold down the power button on the Tap for 5 seconds to fully shut it down. Then hit the power button to turn it back on. This caused the device to fetch and install the latest firmware. The pulsing blue light means it’s installing a firmware update. Don’t use the device while it’s installing. Thank you. Powering down as you suggested was all it took for the Tap to update (and fairly quickly). Powering down as suggested worked for me as well – thank you. Thank you! I was getting annoyed that this feature was not coming up. I used your suggestion and it came up right away. I have the same problem and my app is up to date. Are you sure you have the very latest version of the Alexa app on your smartphone, Jacqueline? 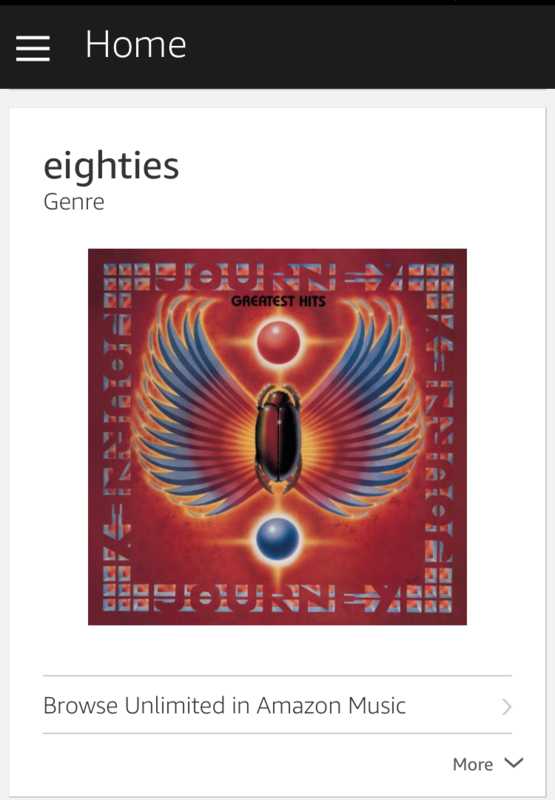 I have the latest version as well (just downloaded it), and it’s missing as well. Not sure what’s up. Make sure you have the very latest version of the Alexa app, William. It could be the version of software on the device ( nothing to do with app). Power the tap off by holding power button for 5 seconds. Press once to power back on and it should auto search for and install software updates. I did this then fully closed out of the app and reopened and hands-free option was there.